Whilst I’d like to kid myself that I do enough cycling to justify a more structured training plan, I reckon 90% of my fitness gain comes from ‘just riding more’. 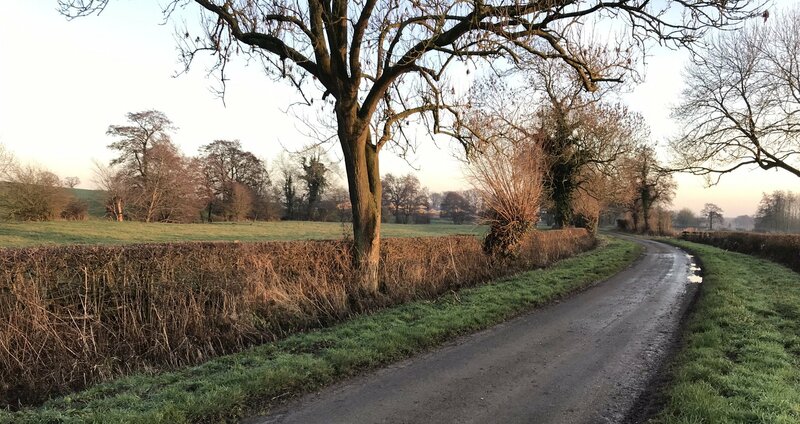 If we start from a point of no riding or, at best, 1–2 short rides each weekend during the winter, increasing the length and frequency of riding as Spring starts is an appropriate training impulse (ie. input) to result in a reasonable improvement in fitness. Then as we get into the season proper, a long ride at the weekend (for me that’s 2, growing to 4 hour rides starting early doors on a Saturday) plus ideally 3 more rides in the week gets me reasonably fit. I’m not at risk of overtraining with that schedule. If I just cycled more I’m sure my fitness would grow in step with more training volume. So, if you’re like me (time constrained by job and family) ‘just riding more’ is a perfectly valid training strategy. If you are at the point where ‘just riding more’ isn’t leading to improvement, then a more structured programme may be just the ticket. Training programmes tend to be good for the sort of person that likes to follow a plan, rather than make it up as they go along. Which makes me think that these are also the sort of persons that achieve things. Unlike the rest of us. The web that is worldwide has all sorts of free stuff that can be ‘searched up’ (as my son says). Who knows what you’ll find by accident on Google (presumably it’s how you got into this whole Sportive Cyclist blogmess). Larger events (e.g. RideLondon) tend to send free training plans as part of the bumf that they send you as part of your RideLondon rider pack. Some of the larger charities involved with cycling events have training programmes on their websites. But I’m going to go out on a pretty sturdy limb and suggest that, if you’re in the market for a free cycling training plan, you won’t go too far wrong by tapping up the British Cycling website. They have an extensive training plan library, with programmes aimed at different training objectives, and experience levels. Presumably if you dig deep enough you’ll find a plan that’ll make you an Olympic gold medalist. With the proliferation of free training programmes on the internet, from organisations that you’re pretty comfortable have a reasonable grasp on sports science (see above), it’s difficult to see why you might pay for an off-the-shelf training programme. That said, there is some psychology. If you pay for a programme, you might feel a greater obligation to do what it actually says. Also, you might value it more. Since it cost money, you might (even subsconsciously) think that it will be more effective. Which will probably make it more effective. Off the top of my head, I can only really think of Training Peaks as a repository of paid training programmes (1,000s of them). Coaches join the Training Peaks platform and can use it to sell training plans that they have designed (as well as offering one-on-one coaching packages). Hang On, What About Strava? It turns out there is another paid training plan repository sat right under our collective snozzles. And I’ve been paying for it. If you are Strava Summit member (is that how you say it? – whatever, if you’ve paid for the premium version of Strava), then under the ‘Training’ dropdown menu (where else?! ), there is a ‘Training Plans’ option. It’s quite neat actually. Once you select one of the (wait whilst I count) 12 plans, it asks how much time you want to spend training each week (30 minutes is not an option) and whether you’ll start this Monday or the one after. Then you click ‘Start Plan’. An overview of the training plan comes up and you’ll start getting an email each day, telling you what training to complete. Which, as I think about it, might actually be very effective. Now quite why you would want to undertake a programme dedicated to improving your 20-second sprint is beyond me. But if you do… they have a plan for that. Now we’re getting into the new thing. The training regimen outlined above place the onus on you, the rider, to execute each component of the training programme, as it’s set out in the plan. Or at least get somewhere close to whatever level of effort, power or distance is written down. The new thing is to take some of that out of your hands. You still have to get on your bike on a regular basis, but when you do, online platforms (go on, I’ll say it, “apps”) like TrainerRoad and The Sufferfest (don’t forget the ‘The’) will do the hard yards in terms of making sure you do the actual session you’ve signed up for. They do this by controlling the resistance on your ‘smart’ indoor trainer such that you hit the various power targets for the required periods of time (so you get fitter…) prescribed by the plan. Now, to be fair, you can use both TrainerRoad and Sufferfest (and, I imagine, similar apps) using a bog standard non-Smart trainer. Using sensors on the bike that provide either speed or power data, you can moderate your own effort (by moving up the gears, increasing resistance on the trainer) to track whatever the app is telling you over the course of the workout. Now if connection on a local level (between you, your smart trainer and your cycling training app of choice) is not enough, you can introduce social pressure (okay, encouragement) into the mix to make sure you get your workout in. Zwift, another cycling app for your smart trainer (or your dumb trainer), also connects you to other riders. In CYBERSPACE! As far as I can tell (bearing in mind I’ve never used it), you and all the other Zwift users ride virtual courses together. 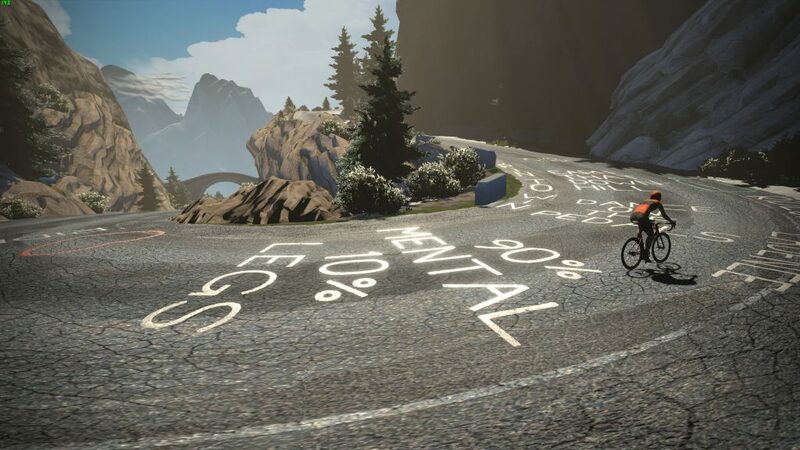 You can race people (whether they know it or not) and work over time to unlock more expensive bikes and better components for the virtual version of you to use. There are structured training programmes built into the app, so you can work on your fitness within the various Zwift ‘worlds’ (rather than spending all your time just dossing about in there). All of this social interaction and gamification is aimed at giving you additional motivation to ride. It appears to be working. It hasn’t escaped my notice that a large number of rides that I’m kudosing on Strava have been undertaken in Zwift. Who knows, maybe Zwift could end up providing the environment, albeit virtual, in which cycling clubs of the future will exist (and maybe thrive?). A really nice ‘use case’ for Zwift was brought to my attention recently (ha, “brought to my attention” – I sound like a 1950s copper testifying in court). 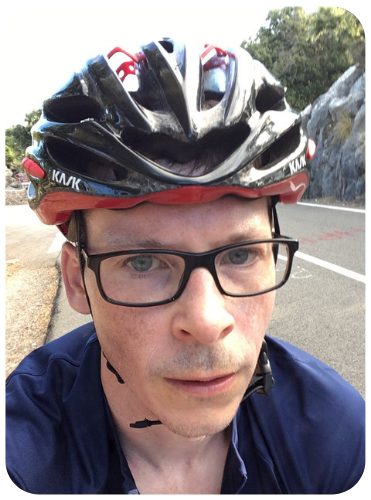 One blog reader (let’s call him ‘James’ … because that’s his name) left a comment to say that he used Zwift in order to ride with his brother, who lives on the west coast of America (I assume James lives in the UK). Now, call me up and give me a job in Zwift’s Blue Sky Thinking department, but I reckon they should introduce voice chatting across the platform (as far as I’m aware ‘chat’ is limited to text right now). I am not the sort of person that calls friends or family members up on the phone for a chat (much to my mother’s chagrin), but I could genuinely see myself arranging a Zwift session with someone (let’s assume I have a decent smart trainer and a nice Macbook – other laptops are available – attached to it), where we can both shoot the breeze, catch up and get a workout in. Probably not with my mother though (she’s too busy doing threshold sessions on Sa Colobra fo’ realz). Peloton is another cycling-over-the-internet system. For this one though, you have to buy an expensive indoor bike. And then you participate in online spinning classes. (My only reason for mentioning them is the fact that they – apparently accidentally – recently unleashed their lawyers on a pretty well known cycling tech blogger for using the word ‘peloton’ in his Youtube videos. Which, being in the indoor techy cycling realm, was something of a marketing misstep). If buying an off-the-shelf training programme, or being guided by an online app, feels a bit too easy, you can always design your own training programme. Undertaking a full sports science degree seems a little excessive. But you could always buy yourself a book on the subject. 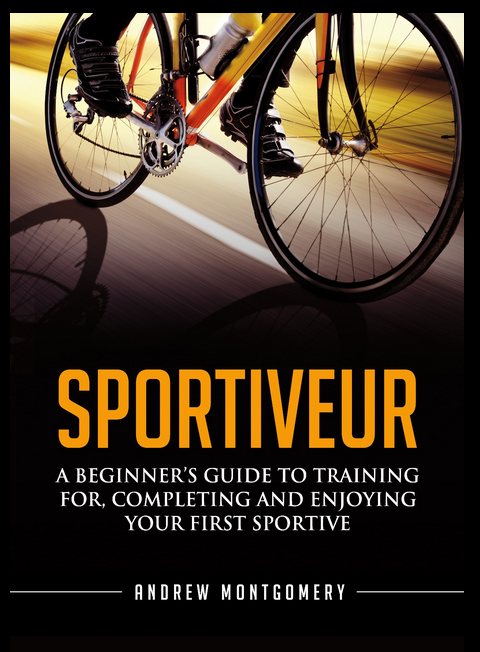 Joe Friel’s The Cyclist’s Training Bible goes into training theory in some considerable detail. It talks about things like periodisation, training to develop specific types of fitness and how you go about measuring the training load that you’re placing on your body. After having explained the theory, the books goes on to show how you can design your own training programme based on how much time you have and what you’re looking to achieve. I wrote a long blog post on the subject of training theory, which borrows heavily from The Cyclist’s Bible. To be honest you may as well just buy the book. The good thing about designing your own training programme, even if you don’t follow it to the letter (or, as is often the case with me, not at all) is that it forces you to engage with the underlying drivers of your fitness. It’ll give you a feel for the cycles of training stress followed by recovery that result in you getting stronger, plus the sorts of rides you need to do at different stages of the process. It will allow you to understand why the off-the-shelf training programmes are structured as they are. This ‘feel’ for what good training looks like is even useful if your strategy is ‘just ride more’. I guess this is the step up from both pret a porter training programmes and ‘build your own’. Again, this section is based on a lack of knowledge (like most of the rest of the blog, ho ho ho…). The precise service you get from having a dedicated coach will vary depending on what you want and how much you pay. You’d like to think a good coaching relationship would mean you getting a bespoke training programme, shaped around your objectives, fitness level and time to train. Assuming it’s an ongoing relationship, you’d also expect to receive ongoing support and encouragement. Knowing that you have a coach breathing over shoulder might just be the incentive you need to complete a harder session (or, if you’re the overtraining type, rein it in properly for recovery rides). There seem to be loads of options for getting a coach, particularly if you’re prepared to meet virtually. The ‘training programmes for sale’ section of the Training Peaks website appears to be a lead generator for (US based) coaches to sell their services. Cycling clubs will often have coaches involved somewhere within. So those are your options. As I alluded to at the beginning, my year will likely start with ‘Just Ride More’ and… probably continue in that vein. But tell me, what training approach are you planning to take this year? What has worked for you in the past? Will you be ringing the changes in 2019? Let me know in the comments below (pretty please…). A very thorough overview of the options – thanks Monty! I’m generally of the “just ride more” mindset, but you’ve got me thinking whether I should try and be more structured this year. Not sure whether there is time for two structured cyclists (and two young children) in the household though! In 2018 I tried to improve my pace by cycling more, to no avail. I bought a new carbon bike and I was still slow. Last Sunday I had a bike fit for said bike and we discovered that while left knee was a model of cycling perfection, left knee was all over the place, hitting the top tube and having a wild time of it. Not ideal. Plus I’d never done any core training (I’m 65…I thought just cycling was enough exercise!) and the findings were that my core strength is pretty non-existant. So…I have reluctantly decided to bite the core exercise bullet and see if I can push up my pathetic average speed (11-13mph) and not have the broom wagon hitching a lift on my tail. Session one (Emma Pooley’s core routine for beginners on GCN) was yesterday. It hurt. Very helpful (and entertaining) post, as usual! I’m going to dive into the British Cycling plans to try to add some direction to my “just ride more” approach. Thanks for the resource. Thanks for a great overview! I’m one of the Strava riders whose Zwift activities you’ve been kudo-ing ;). I worked with a personal trainer a few years ago when I first started getting into shape and cycling, and after I finished the in person package he offered virtual coaching via TrainingPeaks at a much lower rate than he charged in person so I signed up and have been working with him ever since. He’s done a fantastic job of mixing up my workouts in a way that improves my fitness without burning me out, which I think I would have a hard time doing on my own. I work full time and have two young kids, so on weekdays I do trainer rides in the way-too-early-morning and do one long ride on the weekend. I started using Zwift for the trainer rides to make them more interesting and that has really worked well for me. I have a hard time tolerating the trainer when I am just staring at a bunch of numbers. I give a big thumbs up to the British Cycling training plans. Very effective at getting fit for sportives etc. Yes I did download the 12 week program and just finished it :-). Now going on to the 8 week pre season plan. Great job on the blog! Entertaining and informative. My training has been focused on building general strength in the gym and just riding on Sunday. My FTP as measured on Zwift with my Hammer “smart” trainer has increased 50+ watts. In the spring I will increase the rides to 2-3 days a week and build to distances that match upcoming events. Keeping up the weight training as scheduling allows. Most people will end up doing high intensity intervals to get stronger. Volume also works but there is only so much free time in a week. I have developed a free web application (https://intervals.icu) to help with interval training. In syncs with Strava and automatically detects intervals in rides with power. I lived for 14 years in the USA and was fortunate to ride on 3 occasions the golden gate from San Francisco toTiberon where we caught the ferry back across the bay. The point of this is that the last time I did it in 2017 at the age of 63 I realised that I was totally out of condition and were overweight having lived the American Dream for the 14 years I was there. On that last ride I struggled to get over inclines of 30 feet. On my return to the uk I decided to get in shape. I have done amongst others the CollDeRates and the Val de ebo combs of 2000feet plus and 1750 feet and whilst professional cyclists go past me as if I am standing still it’s great to be out there. Never thought I would be doing this 18 months ago. Entered for London Surrey 2019. Have not cycled since teens. I have found the British cycling plans incredibly helpful. Not surprisingly, they agree aloksot exactly with the advice in the training for the time poor advice you give elsewhere. In essence: one long raid a week (vary the goal – is it a hill focus or a flat focus? ), other short intense sessions.